The Riviera Maya/Cancun golf courses are hidden gems and a must play destination. 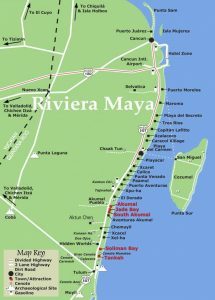 Riviera Maya is along the east coast of Mexico, just south of the well known resort town of Cancun. With great all inclusive and non-inclusive hotels and golf on property, we can offer you the perfect Stay & Play package.